Sacrificial love was the order of the day. Prayer is vital. Prayer chains in times of trouble can uphold us. God desires a relationship with us. Religion can motivate for harm. Relationship is always based on love. There is loss. “Demanding God to tell her why.” Knowing the answers will not always help. God is big enough to take our anger. He wants us to maintain our relationship with Him and keep our eyes fixed on Him. Nothing surprises God. He sees and knows it all. 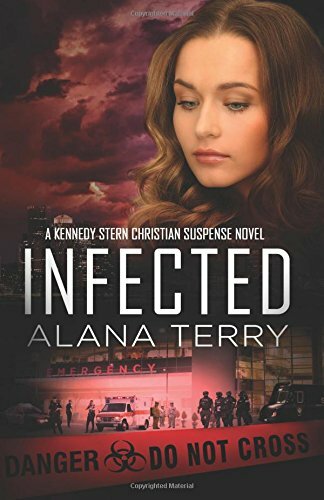 Infected is another cracking novel from Alana Terry. 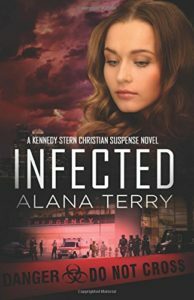 It is a fabulous series.